Our wonderful team in Port of Spain Trinidad. Did you know one of our primary export lanes is to Port of Spain Trinidad? We have a team of dedicated experts to handle all of your exports to the Caribbean. 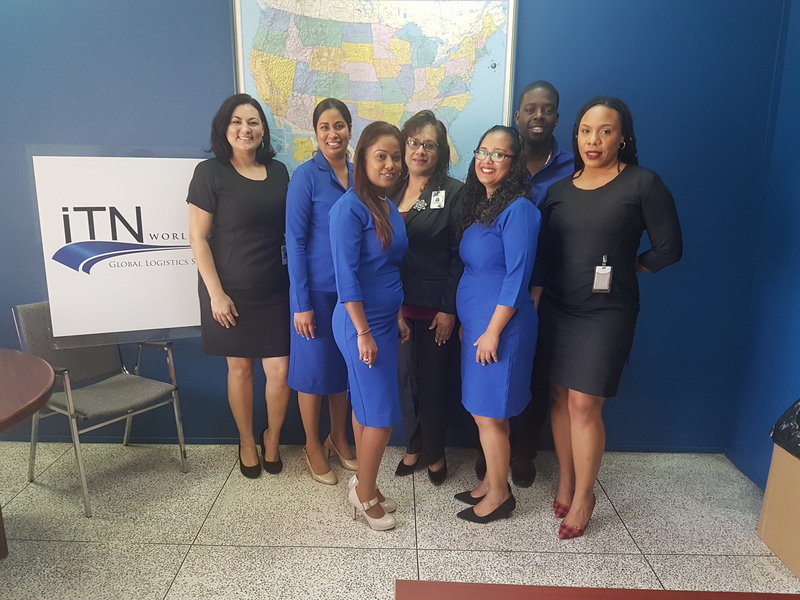 From our sales team to our operators our iTN Trinidad family is committed to processing your logistics transactions. Our warehouse provides ample room for offloading ocean containers, a waiting area with views of the loading platform and counter to process and receive pertinent shipment documentation. Our warehouse is located at Amerijet Caribbean Express Golden Grove Road, Piarco, Trinidad, WI. and our office is located at Port Authority Administration Bldg, International Waterfront #1 Dock Road, Port of Spain, Trinidad, W.I. To reach our team in Trinidad dial 1.866.289.8198 or email itntrinidad@itnworldwide.com or itnpricing@itnworldwide.com.